How many episodes of Clarence have you seen? 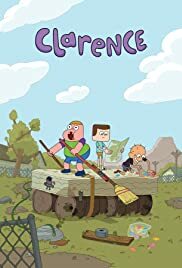 Clarence is a cartoon that succeeds with an element that many other fail at employing: Childhood Satire. Not only does this show recapture the feeling of being a child in middle-class America or Canada extremely well, but it has additional benefits. Whereas most shows would make fun of children for their stereotypes and specific "modern" habits, this show gets more into the psychology of it. The humor is a mixture of the laidback style seen in shows like "Adventure Time" with the more delivery-driven gags seen in shows like "Gravity Falls" or "Early Spongebob", and I love it dearly. It's more proof that Cartoon Network is developing its own unique personality and growing as a channel. Visuals: The animation style in Clarence is pretty simple. The characters come in all shapes and sizes, but they have the more reserved style of motion that characterizes most modern Cartoon Network shows. It's actually pretty similar to the animation in Steven Universe, just without all of the pretty, detailed backgrounds. The characters all have unique designs that capture their personalities very well. 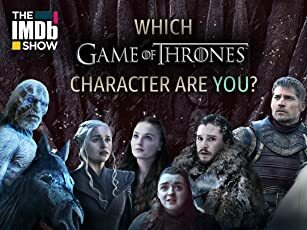 Characters: By far the best the about the show. These characters are all either relatable to childhood, or relatable to people you KNEW during childhood. They can be annoying and immature, but there's more to them than just non-stop hyper wackiness. They have enough character that, when they act up, it honestly just feels like a child being a child. They each have a clearly defined personality. They basically act like real kids, but with a more screwball-ish style of comedy sprinkled in. Sumo and Clarence have great comedic delivery, but my favorite character is Jeff. He's probably one of the most identifiable and likable child characters I have ever seen. They aren't as deep or interesting as the child characters in say, "Peanuts", but they're a lot better than what most cartoons would give you. Storytelling: The stories in some episodes are really satisfying. This is a slice-of-life show that mostly just humorizes the day-to- day live of these characters, and the situations they get into are mostly ones that we can all feel for. I don't care for some of the episodes where the writers mess up and get a bit too annoying, but some like "Clarence gets a Girlfriend" are really funny and enjoyable. Audio: This show has a really nice theme song. Most of the in- episode music doesn't really stand out, though. The voice performances are very memorable. Clarence and Sumo have cartoony voices, but Jeff and some of the others sound more like real children. They get big laughs when they want to. There's something hilarious about the way Sumo chimes in and says things in his weird, alien-like voice. Definitely the funniest performance I've heard out of Tom Kenny in a while. All in all, this is another welcome addition to the cartoon network lineup. Recommended for fans of "Ed Edd N Eddy", "Early Spongebob", "Steven Universe", "Rugrats", "Peanuts", and people who generally like kids. You can tell that this show wasn't made to mock children and pander to them. It was made by adults who know what childhood is like. That being said, if you don't like kids, or don't like to remember your own childhood, you probably won't like this show and will find it irritating. That is all I have to say on the subject.